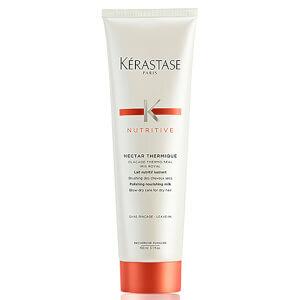 Treat dry, damaged hair to Kérastase's Nutritive range. The duo of haircare products work in tandem to replenish, restore and nurture; hair is left feeling soft and conditioned with incredible shine. Suitable for thick, dry, sensitised hair. 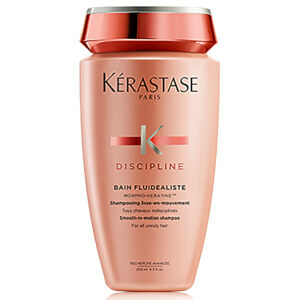 An innovative shampoo specially formulated to treat dry and sensitive hair. Infused with an Irisome complex and glucose proteins, the shampoo gently cleanses hair whilst replenishing fibres from root to tip; strands feel super soft and supple with enhanced shine. Tresses are protected from the return of dryness. 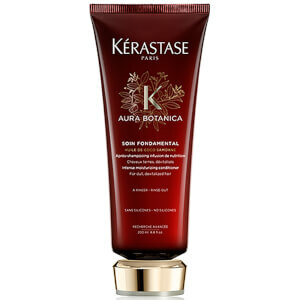 An intensely nourishing hair masque specially formulated to treat thick, dry hair. Infused with an Irisome complex and glucose proteins, the formula replenishes fibres from root to tip, softening and nurturing to leave strands silky and supple with enhanced shine. Tresses are protected from the return of dryness. Shampoo: Wet hair thoroughly. Apply and massage through the scalp and hair in circular movements. Emulsify and inse thoroughly, repeat this application and leave in for a few minutes. Lather by adding a little water and gently emulsify before rinsing thoroughly. Hair Mask: Apply to washed and towel-dried hair. Massage onto lengths and ends. Leave in for 5 minutes. Emulsify and rinse thoroughly.